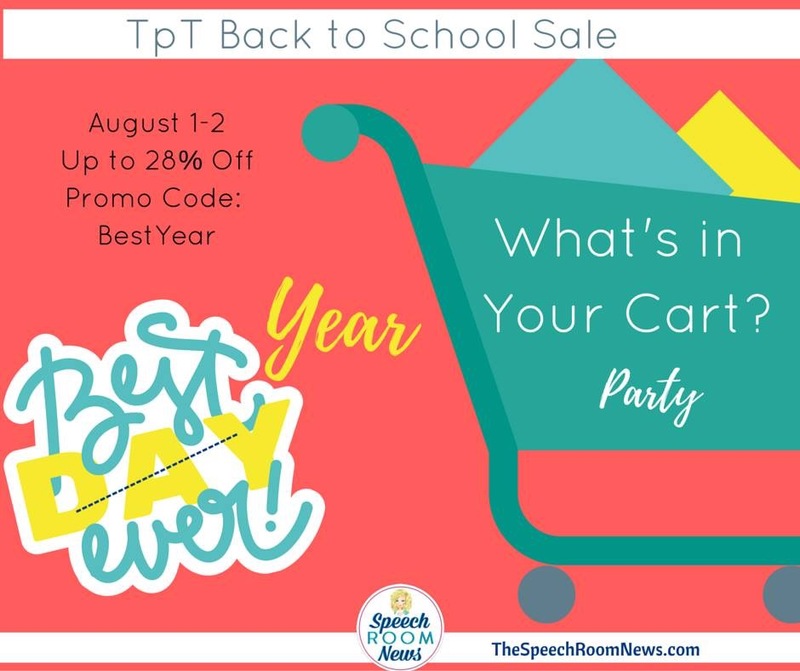 The Teachers Pay Teachers big Back To School sale is August 1 and 2nd. With 20% off, you don’t want to miss this! Plus you get an additional 8% off when you use the promo code BESTYEAREVER. It’s time to get strategic about your TPT therapy materials. What’s really going to help you this year and for the years to come? 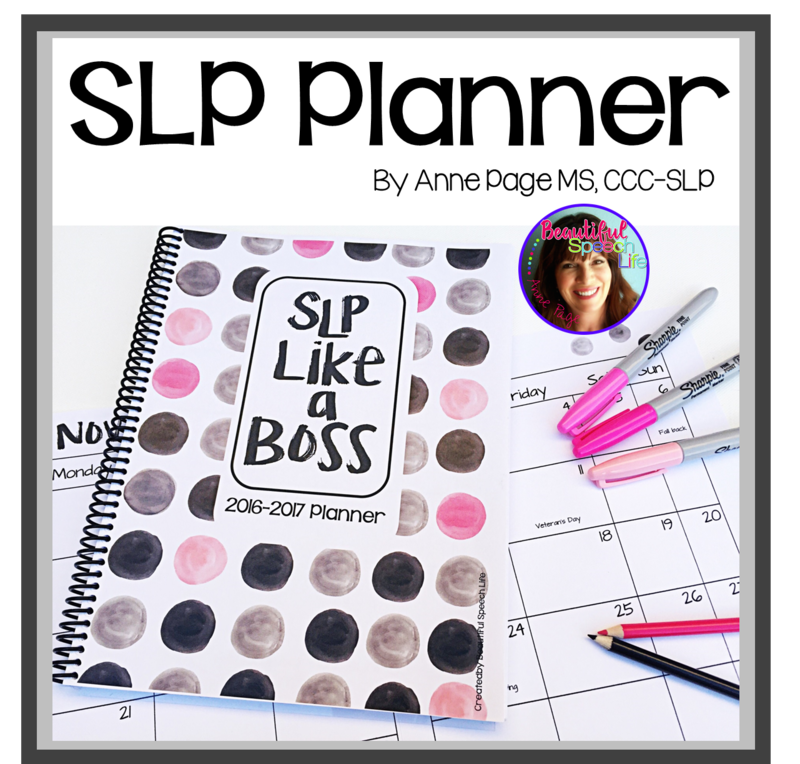 Let me help you find must have items for your SLP bag of tricks. 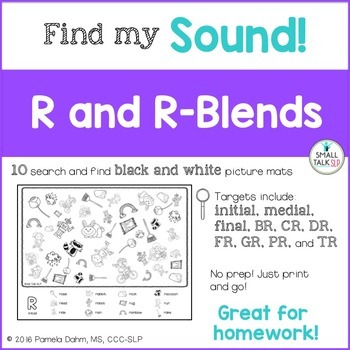 Here are some great materials to get you started from my store. I have no doubt you’ll find yourself reaching for these year after year. And here’s what’s in my cart, I personally know all of these sellers and am really excited to add more of their wonderful materials to my collection. 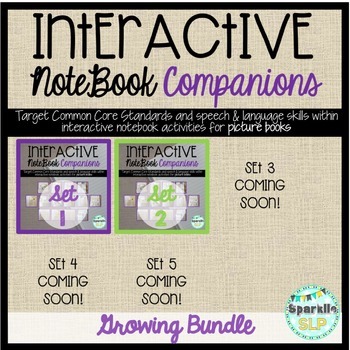 From Sparklle SLP Interactive Notebook Companions for Picture Books, I love using books in therapy! Happy shopping my friends and here’s to THE BEST YEAR EVER! Do you feel like you are aimless or not at the top of you game when working on prepositions? I can totally relate. I work with a lot of special education students. I tried taking pictures of students under tables, in chairs, next to each other. They enjoyed the activity but it didn’t stick. I tried having them take turns putting a fun toy on the chair or taking it off the chair. Again fun, but not getting the concept. I tried it with matching puzzle pieces, with apps, and games. Still no lasting success. Talk about feeling like a Bad Therapist. Then a combination of learning experiences came together. 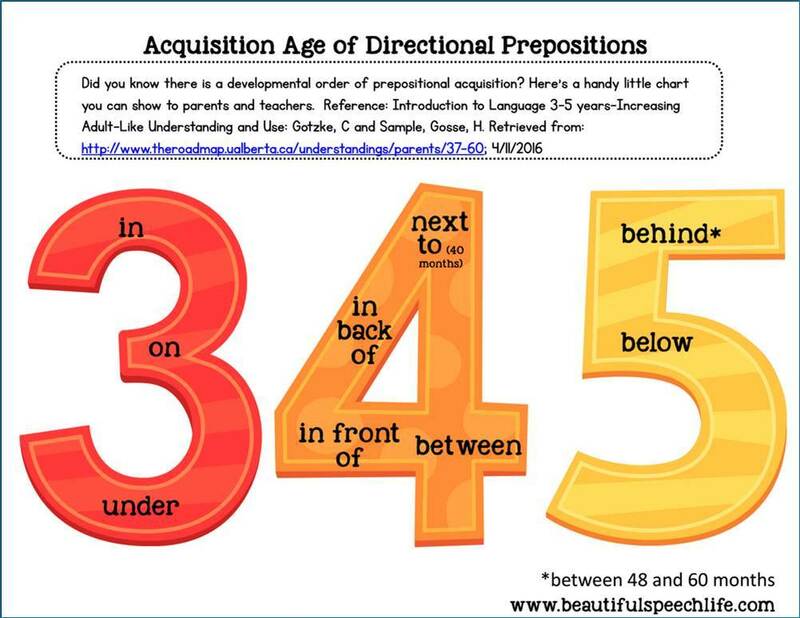 I noticed that teaching opposite prepositions didn’t work. I noticed that kids got distracted by little details in pictures. I went to an amazing presentation by Dr. Elena Plante, research SLP from University of Arizona and she talked about the importance of errorless learning and teaching one concept at a time. I learned about fast-mapping. Fast mapping is the psychological term for learning a new concept after a single exposure to information. 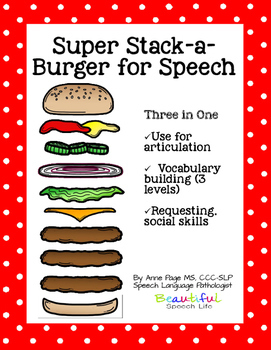 Students with SLI and cognitive impairments are not able to fast-map like their typical peers. I tried making a book with simple visuals and white background. This way the focus was only on the relationship of the objects to each other. There is a picture strip with words at the bottom of the page, always the same “Where is the _____”(object) The next page always has ______ (target preposition) the ___________ (relationship word). Object remains the same. 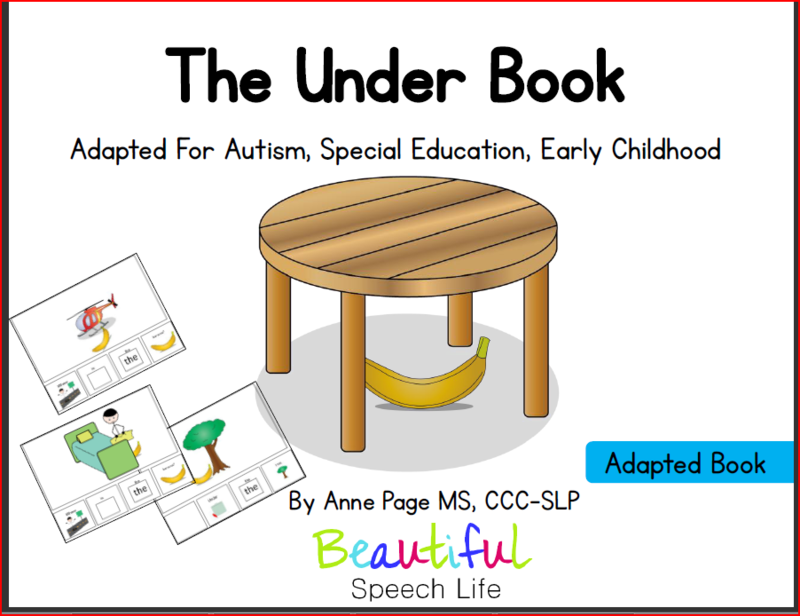 For example in “The Under Book” the object is always a banana, it is always under something. Going through the book once gives 12-15 repetitions. The other important piece is that the skill needs to be taught in more than one setting. 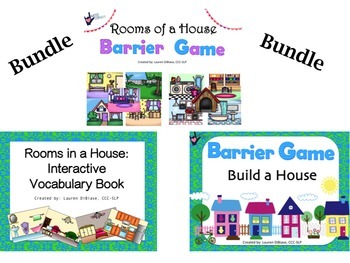 So with all of the prepositions books I offer examples for how to extend the new concept into different settings. I’m still doing more investigating in this area but I can say, I’m having good results with these books. So are the people who have bought them. 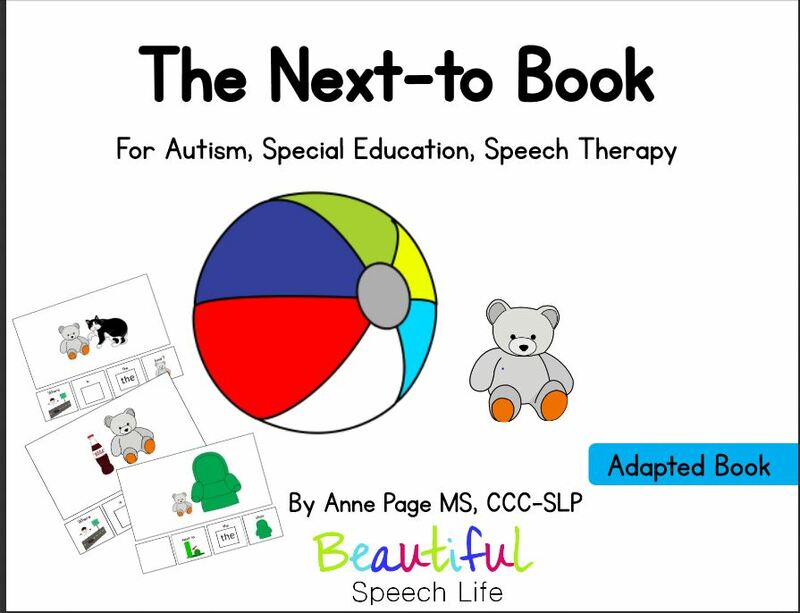 Here is the new “Next To Book”. 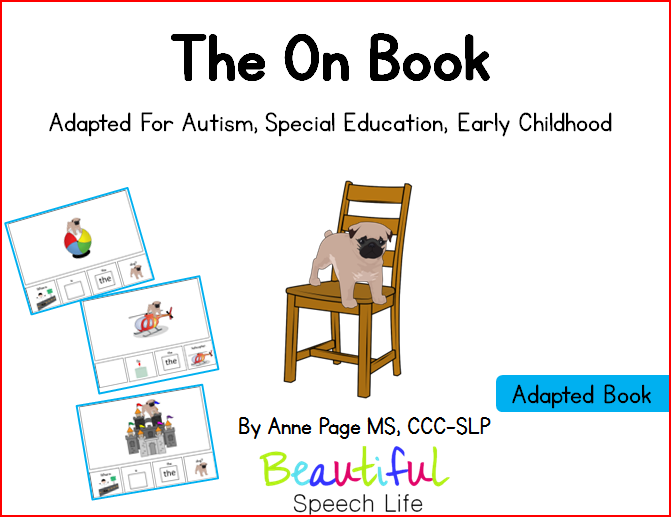 This completes the first three prepositional concepts that children with typical language development acquire at the age of 3: “on” and “under” and “next to”. I’ll be working on the next ones soon. You might also be interested in The Under Book and The On Book. Coming soon…The In Book. P.S. Did you like this post? I’d love it if you’d share it with your friends. Subscribe at the bottom of this so you don’t miss any of the fun. December already! 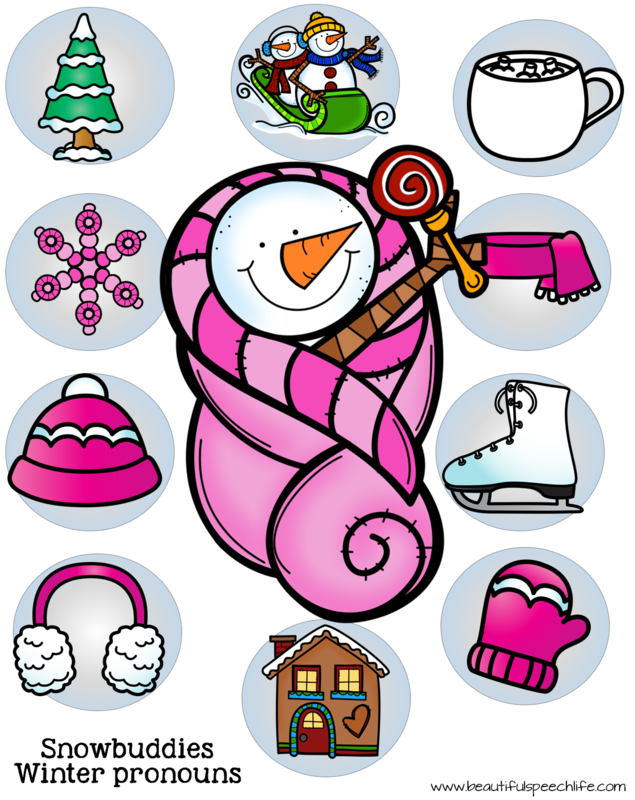 I am looking forward to the holiday break for some time off to spend with family and friends. It can be a hectic time at school and the kids attention spans are short because they are so excited. 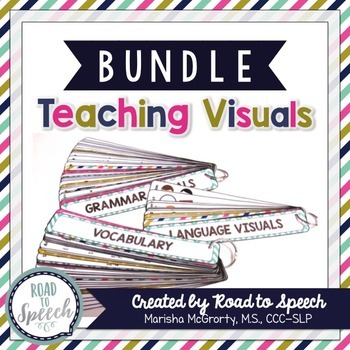 I created this high interest, visually fun FREEBIE activity just for these days. Click here. Laminate each of the four pages (perfect for group therapy) and grab some play dough (so cheap and fun, I think 4 containers are under $3 at Target). If I’m working with a group I roll the snowballs ahead of time. The next level would be “She wants her hat” (using both forms of the feminine pronoun). The males of course would be “He wants his hat”. 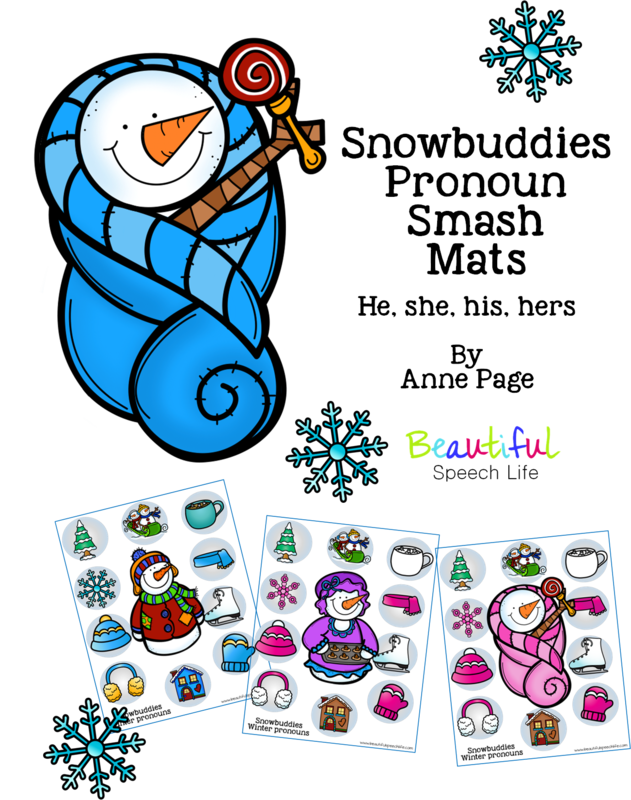 The sheets can also be used for labeling winter vocabulary or for increasing MLU (I see a snowman). Play dough makes everything fun so your students will love this. You will too, enjoy! 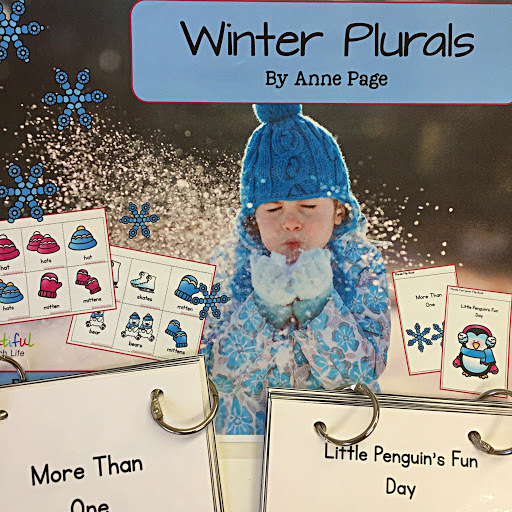 If you are doing some planning and want to have some materials ready for when you return, my Winter Plurals will provide activities for two-three sessions. 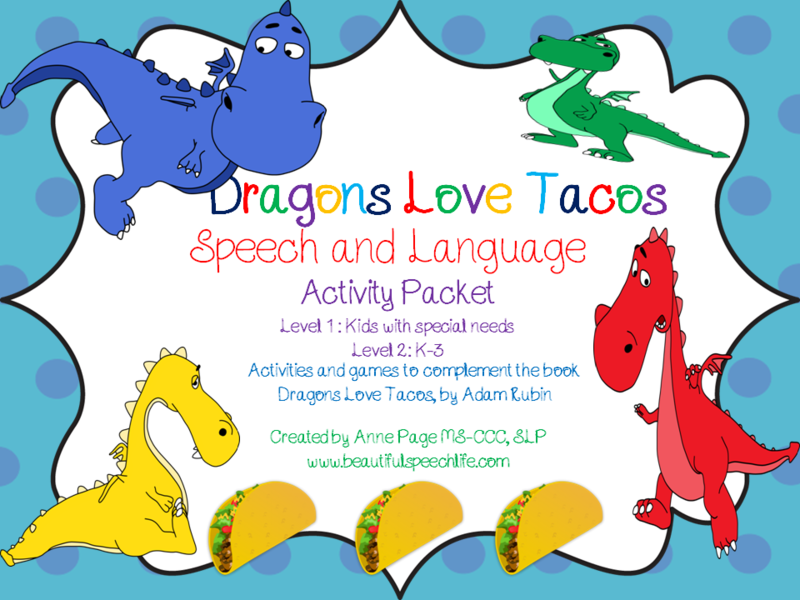 This is a fun way to teach plurals with an introductory flip book, practice game, and follow up flip book to support the skill. 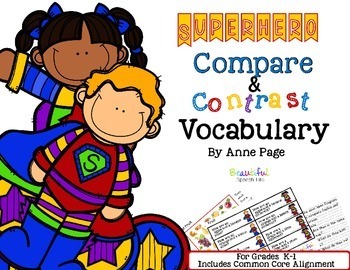 The Reading activities support connecting the skill from the vocabulary word level to the reading comprehension level. Whatever you are doing for the next couple of weeks, I hope you can enjoy the contagious excitement and joy of season.